We started offering Nerdy Gurdy instruments and kits for sale and download at the end of 2017, after tinkering with the design for about four years. The response was overwhelming, as well as heartwarming. Since we released it into the wild, a fantastic community has grown up around the Nerdy Gurdy. People from all over the world have shared their experience with us and with each other. 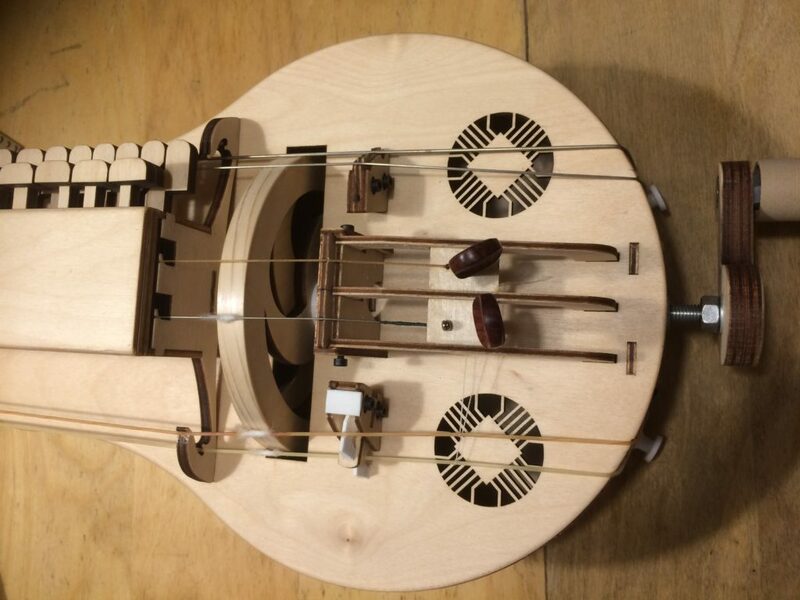 Over the years, some of the best hurdy gurdy players in Europe have tested our own prototypes, and provided much valued advice on how to further improve the design. 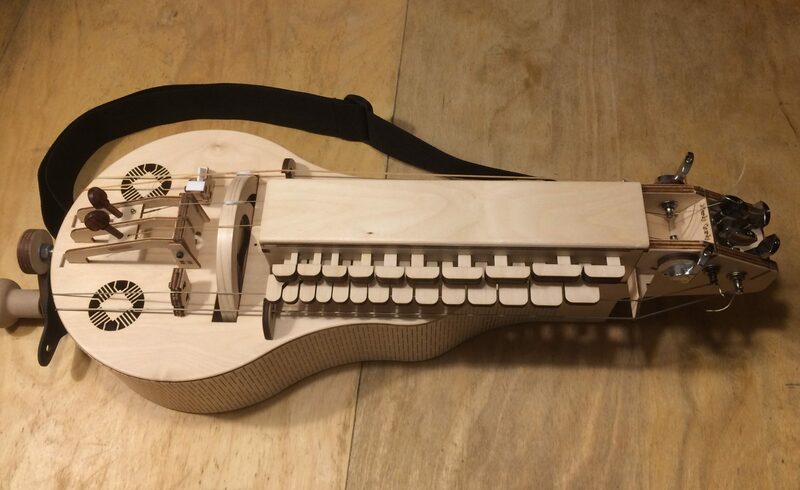 Based on their comments we’re confident in saying that the Nerdy Gurdy is a very good instrument for starting players. We can also safely state that almost anybody is able to take the kit, and build it into a playable instrument. And more that one builder has stunned us with the creativeness and quality of his/her work. The trickiest part seems to be adjusting the instrument, and properly applying wool and cotton. These are skills that any hurdy gurdy player needs to master. 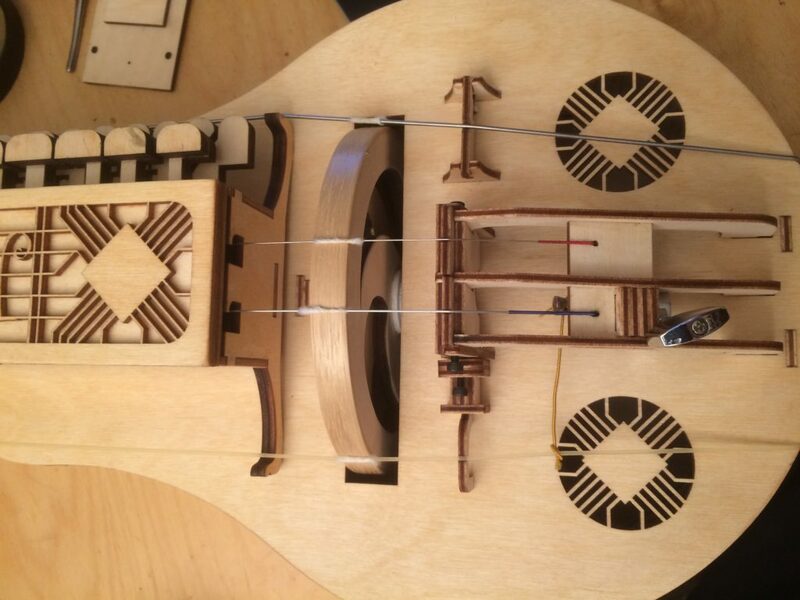 The best sounding Nerdy Gurdies that we’ve seen have been ones built by experienced players and, in a few cases, by hurdy gurdy teachers together with their pupils. So find yourself some expert support for that phase, or at least take a deep dive into the large number of tutorials online. Most of this site is about the stuff that we have for sale, but you can download drawings here if you want to make your own parts. The original instrument. There’s quite a few of these out in the world, in all kinds of fancy permutations. If less = more, then more must be even more more! An extra trumpet string and an extra drone give you more options to play tunes you like. 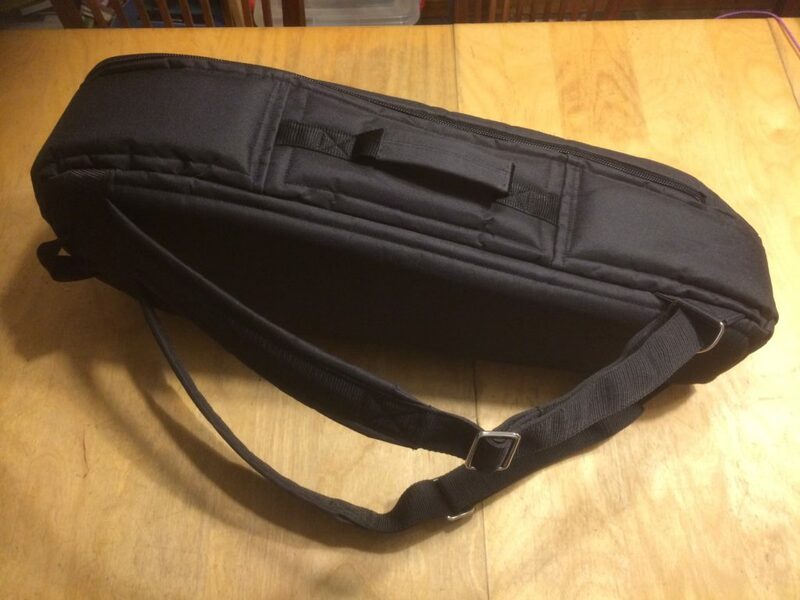 This bag has been specifically designed to fit a Nerdy Gurdy. It has a handle and two robust straps to carry it on your back. Now your Nerdy Gurdy is going places! To order: send us an e-mail with your contact details, describing what you’d like to order, and we’ll send you an invoice and expected lead time. After payment of the invoice it will be shipped. Usually we can ship a kit within 2 to 3 weeks. For gig bags and finished instruments it depends on stock and number of orders, as we don’t always have time to build instruments ourselves. *Please note that the prices are including 21% taxes, so prices might differ for people based outside of the EU.